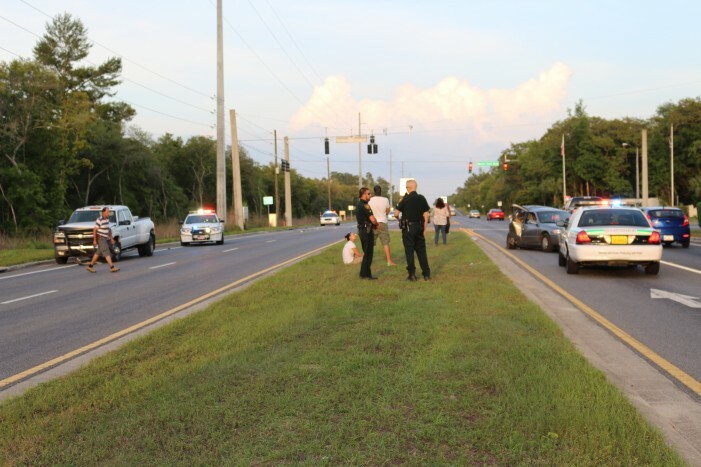 Ocala, Florida — Marion County sheriff’s deputies secured an accident scene Friday evening as Marion County Fire Rescue prepared victims for transport. 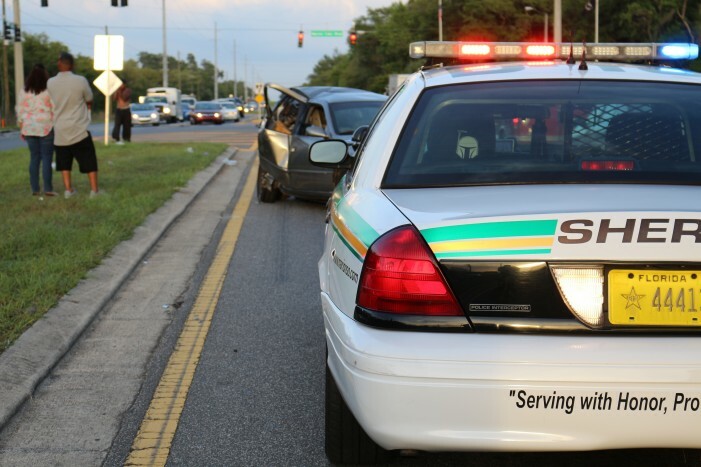 Deputies kept the accident scene secure until the Florida Highway Patrol was able to arrive. 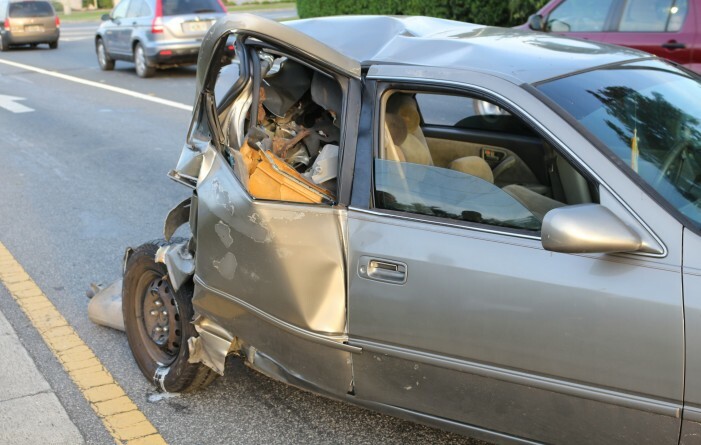 Preliminary reports indicated that a Toyota Camry was traveling west on Country Road 484, and might have been stopped at a red-light when the Camry was rear-ended by a Chevrolet DURAMAX DIESEL 3500 pickup. The rear-end of the Camry was shoved into the backseat. 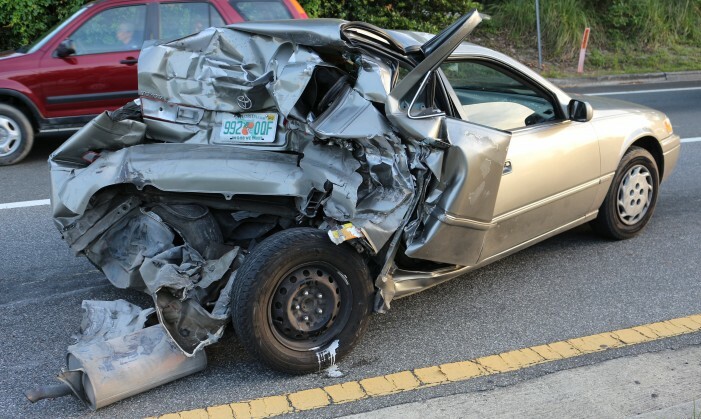 The impact of the accident “shot” the Camry into oncoming traffic in the eastbound lanes. The accident occurred just feet from the Marion Oaks entrance. 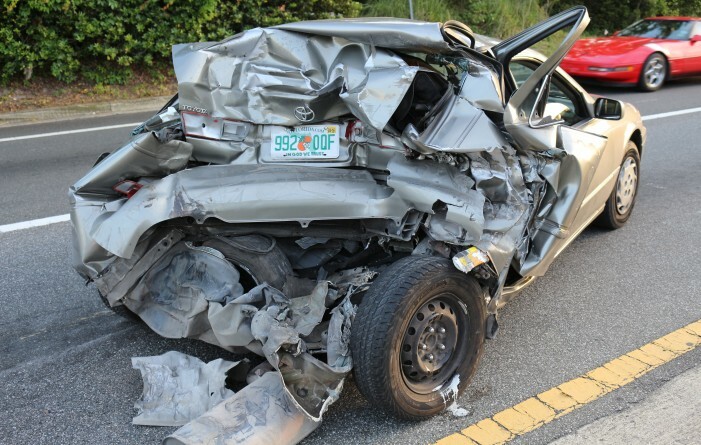 The occupants of the Camry — three females– were transported to Ocala Regional Medical Center. Their condition is not known at this time. The driver of the pickup truck did not appear to be injured. 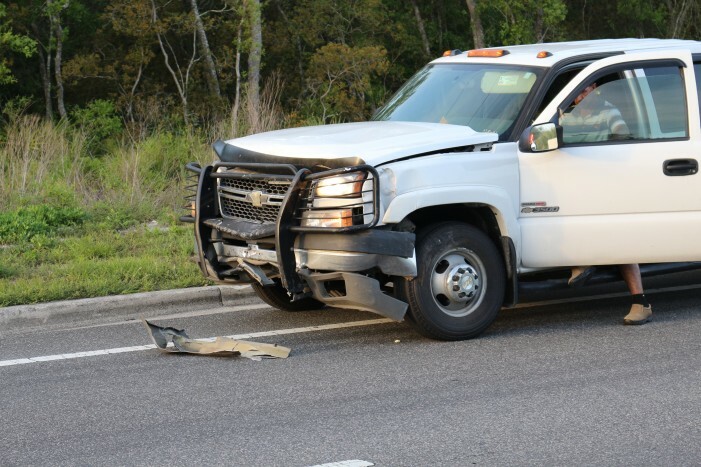 This is just a preliminary report, Ocala Post will bring you more information once FHP completes its investigation.